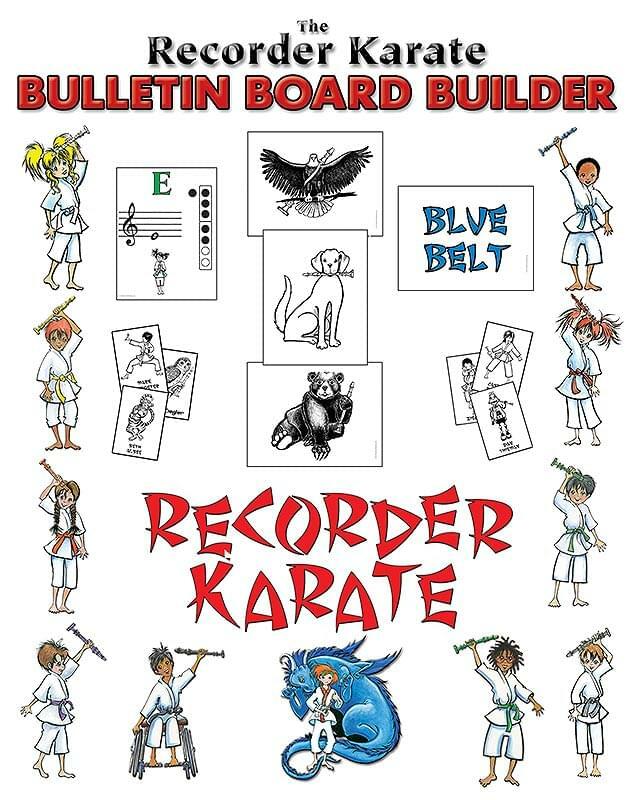 We have designed this product to help any teacher assemble an inspirational Recorder Karate bulletin board that lets your students have fun as they progress through the levels of the program. There are literally thousands of possibilities as you design your board. Character Prints - A dozen high quality, high resolution 8 1/2" x 11" prints, depicting all nine belt levels as well as a few other characters. They are printed on print quality paper, to be used as they are, or cut out and laminated for longer life if you like.